When I heard the news that the Freestyle Libre was coming to the U.S., I was so excited, especially since it adds to the options for self-management technology for people with both type 1 and type 2 diabetes. So, last week, I took advantage of the free Freestyle Libre reader and sensor offer for current Dexcom users. I was so excited to try out the Libre and wear it with the Dexcom G5 to compare the two as a self-management experiment. I was prepared for the two devices to differ as one is a continuous glucose monitor (Dexcom) and the other is a flash glucose monitor (Libre). Here are my thoughts. I was able to get my hands on a Libre within 36 hours of claiming the offer. I contacted my endocrinologist to write me a prescription and almost immediately Walgreens worked on obtaining a Libre system for me. My Walgreens didn’t have the Libre in stock, so they placed an order, and I was able to pick it up the next day. Whenever I try to re-order Dexcom supplies through my third party distributor, it seems to be disastrous, and it takes a week or so to receive my shipment. Considerations: If you do not have insurance coverage for a CGM, have a high deductible, or cannot afford your out-of-pocket cost with coinsurance, the Libre is a much more affordable option. However, make sure that your insurance will cover the Libre. If insurance covers the Dexcom (and you have good insurance coverage), but not the Libre, then Dexcom may be a more affordable option. The insertion instructions for the Libre are understandable and easy to follow which differs from the difficult Dexcom insertion process. Considerations: If you are unfamiliar with diabetes technology, have low dexterity or have vision problems, the insertion process for the Libre may be much smoother than insertion of the Dexcom. 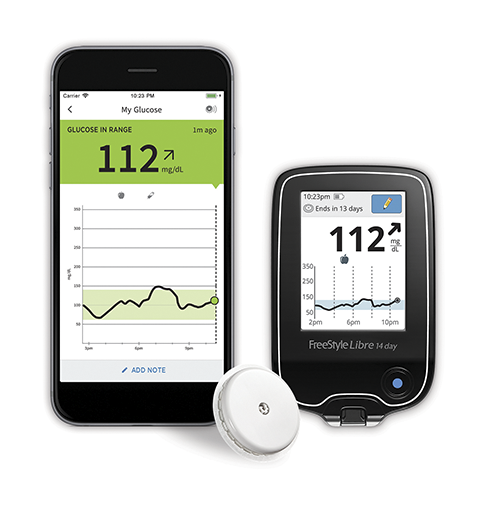 The Libre sensor lasts ten days, and the Dexcom sensor lasts only seven days. However, many people have discovered how to trick the Dexcom sensor into continuing for much longer than seven days. The Libre is too smart to be fooled and requires a new sensor after ten days. The Libre takes 12 hours to warm-up. I put it on before bed, but I still had to wait a few hours to use it when I woke up. I was anxious to get started! The two-hour start-up for the Dexcom isn’t so bad after all. The Libre is factory calibrated, so it does not need to be calibrated after warm up or throughout its ten-day session. The Dexcom requires two calibrations after its two-hour warm up and then one calibration every 12 hours. At first, I thought this was an absolute win for the Libre. However, I noticed that there were a few instances where my Libre was significantly (60+ numbers off) from my meter reading and Dexcom reading. I understand that the Dexcom will be closer to the meter reading since it uses the meter reading for calibration but I felt scared that I couldn’t tell the Libre it was wrong to re-adjust it. I don’t think I’m fully ready to trust factory calibration yet. Considerations: The factory calibration is a beautiful feature as it reduces user-burden. All the user has to do is insert the Libre before starting the session. This feature is beneficial for those who cannot or will not check their blood glucose manually throughout the day. The Libre gives a similar graph as the Dexcom. Both graphs showed comparable glucose variability patterns even if the numbers differed slightly. The Libre reader device reports and the Dexcom clarity reports have similar information. The trend arrows are to be used similarly on both devices. However, my Dexcom seemed to be much more accurate with arrows when I was dropping. I self-manage based on my Dexcom trend arrows, so this was concerning to me. One benefit of the Libre though is that it does not seem to lose signal like the Dexcom does, leaving lapses of glucose data in the graph. Considerations: The Libre is still an excellent tool to look at average daily glucose patterns and make adjustments with your healthcare provider. The Libre was significantly off from my Freestyle meter which is built into the Omnipod PDM, but the Dexcom matched up pretty closely due to calibration from the meter reading. However, since the FDA approved the G5 to dose off, I think it is safer to use the Dexcom reading for treatment decisions. Considerations: My personal experience may differ from others. 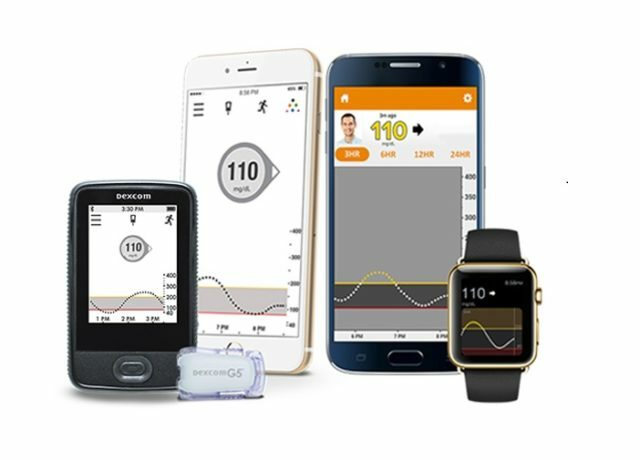 Additionally, research has found that the Libre’s mean absolute relative difference (MARD) is less than the Dexcom G4’s MARD—meaning that the Libre is more accurate than the Dexcom G4. There is limited research on the G5 MARD vs. the Libre though. If you just want a device to look at glucose trends and not to dose off of, there is no problem with the Libre (from my personal experience). The Libre requires that the user presses a button on the reader device to see their current blood glucose reading. Though I thought it would be annoying to carry around the reader device, it did not bother me! However, I do depend on looking at my blood glucose and trends throughout the day on my Apple Watch (through the Dexcom app) when I am at work, so having to pull out the device to check my blood glucose was much more apparent to my co-workers. The Libre doesn’t (currently) have any mobile apps with sharing features in the U.S. I also depend on the sharing feature for safety. Now that I have used a CGM with alerts and continuous glucose data for the past four years, missing continuous data makes me anxious. Considerations: If you self-manage fine by checking your glucose a few times per day, the Libre may be less annoying and work very well for your needs. The Libre has no alarms like the Dexcom. I am not hypo-unaware (as of now), but I still worry about not waking up for a low blood sugar overnight. The alarms provide a safety net. Considerations: If you are hypo-unaware or live alone, it may be safer to consider a device with alarms. Additionally, it appears there is a company (BluCon by Ambrosia) that does make an add-on device for the Libre so that you can receive alerts continuously and overnight for lows and on a mobile application. I cleaned off my site area with alcohol before inserting the Libre. I was unsure of the guidelines for using skintac, so I did not use any before insertion. After two days the Libre began to peel off, and I had to reinforce it with Tegaderm. The Dexcom also does not have great adhesive. However, I have been using the Dexcom long enough to figure out the best way to make it stick for me (donut-shaped application of liquid skintac before insertion, gifgrips on after insertion, followed by additional liquid skintac on top). 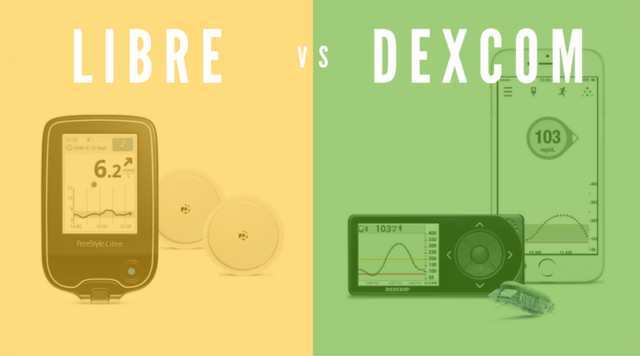 Considerations: Both the Libre and the Dexcom seem to cause allergic reactions in some. 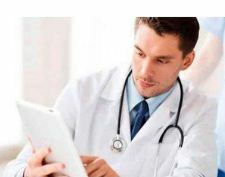 Trialing the Libre was an awesome opportunity as it gave me a sense of having patient choice for self-management tools. However, I am not sure I am mentally ready to use the Libre over the Dexcom. I am used to using my Dexcom G5 CGM and have become somewhat dependent on its benefits for my peace of mind and sense of safety. There are still many clear clinical benefits to using the Libre, however, and the best fit depends on individual self-management needs.